The web pages here include images and descriptions of the dominant architectural styles found throughout the United States, Canada, and soon, Europe. Some pages have more photos than others, simply due to my travel opportunities. I will highlight certain images on the blog pages, while enthused viewers will find many more photos on my Flickr Photostream, linked from appropriate posts and pages here. My original intent was to develop these pages for a course I teach (now GSP 303 and GSP 399 course flier), at Northern Arizona University. By the early 2000’s I discovered that people were using them as references. This encouraged me to occasionally update them throughout the past decade. Now I intend to expand these pages to include the broader topics of urban design, design history, public space, and cultural landscape studies. Because those involved with historic preservation, geography, urban planning, and landscape studies are concerned with virtually all types and styles of buildings, I include a wide variety of photos representing numerous building types and settings. These include high style, vernacular, and folk architecture, and a combination of residential, commercial, and institutional structures. Europe's largest medieval public square, Krakow, Poland. Currently my "high-water mark" for travel eastward. 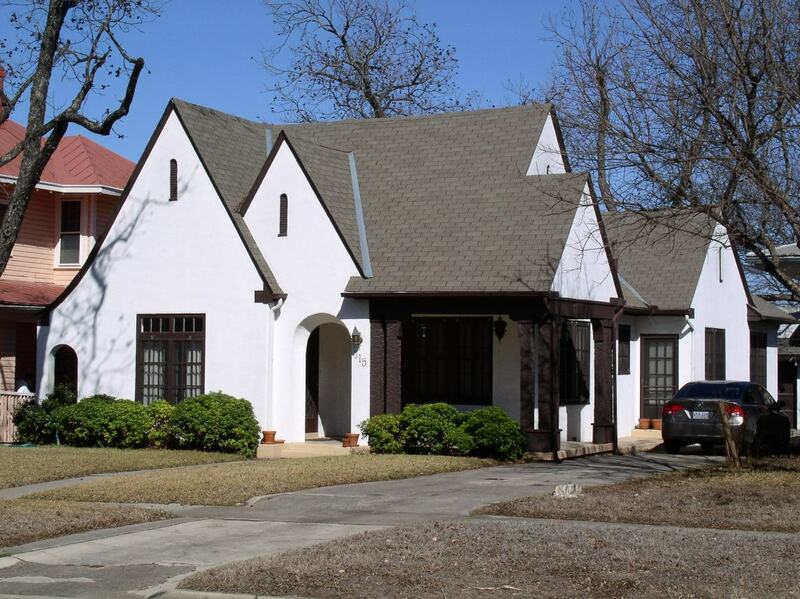 In Dallas these are called Depression cottages. And if they’re in Highland Park or University Park, the price you will pay for one of these “cottages” is enough to induce depression.